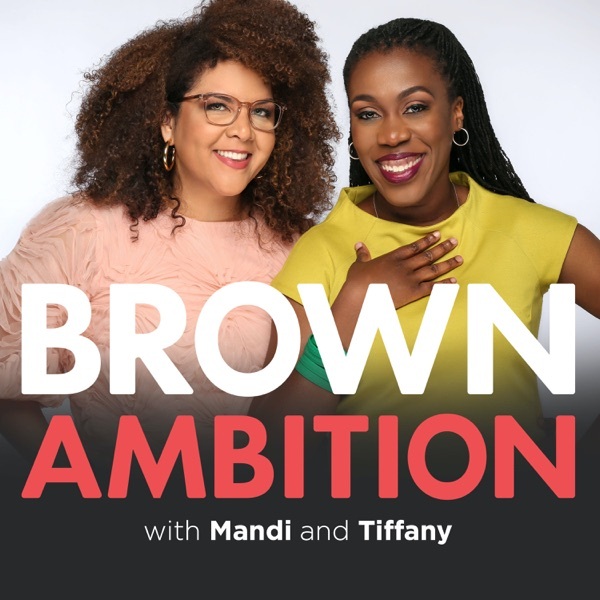 Brown Ambition is a weekly podcast about juggling life, career, and building wealth on your own terms. Your hosts are Mandi Woodruff, executive editor of MagnifyMoney.com and former personal finance reporter for Yahoo Finance, and Tiffany "The Budgetnista" Aliche, an award-winning financial educator and best-selling author of "The One-Week Budget." Paychecks &amp; Balance's Marcus Garrett cohosts this week's show, and he shares how he found <a href="https://www.gobankingrates.com/retirement/planning/how-to-calculate-how-much-you-need-to-retire/">his perfect retirement number</a> (Hint: It's actually not as high as you might think!). <br><br>Check out Garrett's writing on <a href="https://www.gobankingrates.com/author/mgarrett/">GoBankingRates.com</a> and show Paychecks &amp; Balances some love on their <a href="https://paychecksandbalances.com/">website</a>. Ep. 167 — Forget Mentors. Here's Why You Need a 'Sponsor'. This week's episode is sponsored by Simple Health, which uses technology to provide simple, convenient &amp; affordable care at home — starting with online birth control prescriptions &amp; delivery. Finally, a better way to get birth control is here! Get a $20 discount on a Simple Health prescription at <a href="http://simplehealth.com/brownambition">simplehealth.com/brownambition</a> or enter the code BROWNAMBITION at checkout. Looking for the perfect holiday gift for a loved one? Check out <a href="http://www.storyworth.com/brownamibtion">StoryWorth.com. </a><br><br>StoryWorth makes it easy and fun for your loved ones to share their stories, with weekly emailed story<br>prompts - questions you’ve never thought to ask. At the end of the year, they’ll get their stories bound in a beautiful hardcover book. Strengthen your family bonds, and get to know your loved one in a whole new way.<br><br>Go to<a href="http://www.storyworth.com/brownambition"> http://www.storyworth.com/brownambition</a> to get $20 off your first StoryWorth gift! Ep. 137 – Closing credit cards to cancel debt? Not so fast. EP. 132 — This is America? This week, we welcome a very special young entrepreneur who recently reached out to the show to tell us her story of clawing her way out of $80,000 worth of debt.&nbsp; Have a question or know someone brilliant who should be featured on the show? Hit us up at Brownambitionpodcast.com. Ep. 115 — Is This the Worst Time Ever to Buy a House? Happy Brown Ambition Wednesday!&nbsp; Show us the love by taking this SHORT 2-min survey so we can get to know our listeners better: https://goo.gl/forms/Oxo6wEtuCnRxtdHR2 On today's show: -Mandi's got some BIG news...and does the one thing she said she never thought she'd do in New York.&nbsp; -Tiffany's back and recovering well from surgery.&nbsp; -Mandi offers some perspective on the EPIC stock market drop felt 'round the country last week and explains WHY it really happened. Ep. 113 — Sooo... Should I File Bankruptcy or Nah? Happy holidays, BA Fam! This is our last show for 2017 but we will be BACK with fresh new episodes starting Jan. 10! On the Brown Ambition menu for this week... Holiday anxiety Work gripes when tools don't work Tiffany's having The Big Talk with her mom about retirement Also...guess who bought some Bitcoin! Question: Listener Brittany asks: Should I leave my financial job and move to NYC to become a writer? Ep. 106 — Tax reform! #@$* is getting real. One of our all-star guests is back on the show! Patrice Washington, America's money maven, author, speaker and new podcast host joins us to talk about the last two years. She gets real about the moment in her kitchen that changed the trajectory of her business two years ago and opens up about her new philosophy about managing career, marriage, and motherhood all at once.&nbsp; Check out Patrice at Patricewashington.com and her new podcast, Redefining Wealth on iTunes. On today's show: -What can you do to protect your identity after the MASSIVE Equifax data breach? We've got you covered! As mentioned on the show, check out the MagnifyMoney Guide to Credit Monitoring and Identity Theft Protection and our tips on what to do after the hack.&nbsp; -Tiffany's got a house update! Is it good news? -#EmmysSoBrown Today's question from listener Tracy: "What do I do when my landlord's home goes into foreclosure and they want to evict me?" Ep. 93 — So...I Hate My Job! What Do I Do Now? It's finally here, BA Fam! A show entirely dedicated to YOUR questions about student loan debt.&nbsp; To find a list of resources mentioned on the show, check out this link &gt; http://bit.ly/2vavfwP We are joined by Angela Howze, a financial aid expert and owner of the Financial Aid Strategist, a nonprofit company that aims to help students and their families plan and pay for college without drowning in debt. Evita Robinson, Founder of the Nomadness Travel Tribe, joins the show to talk about how she created the company from scratch at the forefront of the black millennial travel movement, her plans to grow and how she deals with her competitors. This episode originally aired June 27. Ep. 84: Ready to Quit Your Job to Launch a Business? Ep. 83: Ask The Money Coach! How to Rock Your Salary Negotiation ... And What Really Happens When Your Kid Loses a $50K College Scholarship? Ep. 78 — The Honeymoon's Over, We are Debunking Co-Signing Myths, Plus Blavity.com's Morgan DeBaun is Back on the Show! Ep. 73 — Is This Real Life? Ep. 68 — #AlternativeFacts "When Debts Are Sold...Do I Still Have to Pay?" Ep. 64 — Holla, We Want Prenup! Ep. 60 — Soulja Boy Tell 'Em...How to Start Investing! Ep. 59 — Next Stop...Bankruptcy? Ep. 53 — So, You Wanna Be CEO? Ep. 52 — Burning Questions Answered: Wedding gift etiquette and do you really need travel health insurance? Ep. 39 — Mandi's big job news!